Similar to owning a car and having a trustworthy mechanic you can depend on, if you own a luxury watch—or several—it’s important to have a good watchmaker you can call upon should you need to. If well taken care of, a Rolex watch can last several lifetimes. But the key here is to take good care of your watch. 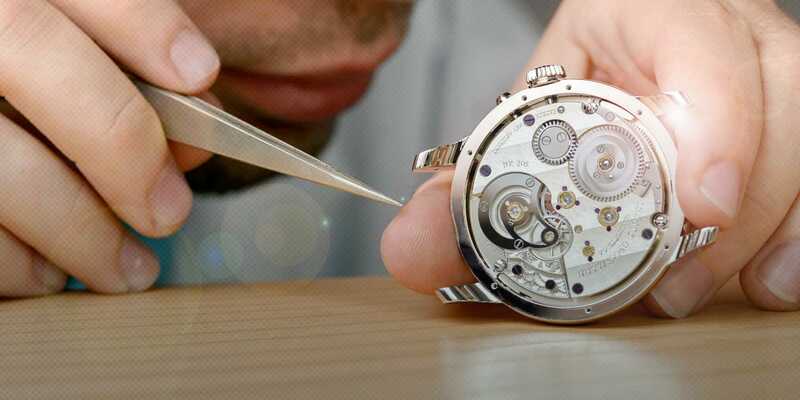 While there are some things you can do on your own to extend the life of your Rolex like regular cleaning, there are some things such as servicing that are best left up to the professionals. Let’s discuss the importance of a good watchmaker and how to find one. A question we get a lot at Beckertime is whether one should trust their cherished Rolex watch to an independent watchmaker or only send it in to an official Rolex service center. While a Rolex service center of course means officially certified Rolex watchmakers, parts, and equipment, it does come at a hefty price. Sometimes, that price is hard to justify—especially if you managed to score yourself a relatively inexpensive pre-owned Rolex watch—so it’s perfectly acceptable to depend on an independent watchmaker. Plus, Rolex watchmakers have very strict procedures they have to follow when servicing a watch, so that vintage Rolex watch that you send in may come back with replacement dials, hands, and other components that you actually don’t want to change! It’s also important to note that most watch brands, including Rolex, will only service a watch that is 100% original and that does not have any customized or aftermarket parts. So if your Rolex watch includes a custom bezel, dial, band, or any aftermarket diamonds or other gems, you have to rely on an independent watchmaker to service your watch. If you do decide to use an independent watchmaker, make sure that they are properly trained in dealing with Rolex watches and have all the relevant certifications, paperwork, and experience to do so. And don’t forget to research some reviews of past clients to understand what to expect. Also, any independent watchmaker worth your time will offer a warranty on his or her services, so inquire about that too. Another question to ask yourself when looking into finding an independent watch repair center is whether to depend on a local watchmaker or a distant one that you’d have to ship your watch to. Although it’s relatively easy to ship an expensive watch using any one of the top couriers—we ship and receive hundreds of Rolex watches a month after all—shipping costs and insurance fees can quickly add up. If you live in an area where you can find a great local watchmaker, that’s always a better bet in our opinion since you can easily drop by whenever you need to have your Rolex looked at. 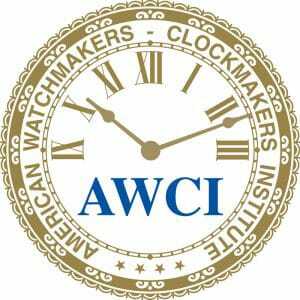 In the United States, there’s The American Watchmakers-Clockmakers Institute (AWCI), which provides certifications for independent watchmakers and clockmakers. Internationally, there’s also the Watchmakers of Switzerland Training and Educational Program (WOSTEP). Any watchmaker with these certifications has undergone extensive education and rigorous training in the art of watchmaking and is well versed to handle the cleaning, polishing, servicing, or repairing your Rolex watch. Regardless of if you decide to go with an official Rolex service center on independent watch professional, it’s important to find a good watchmaker that you can rely on to take good care of your Rolex watch. Do your homework, speak to fellow watch enthusiasts for some recommendations, and most importantly, go with your gut!